This product has been created to remove dirt from wheels. Black dots stuck on your wheels! 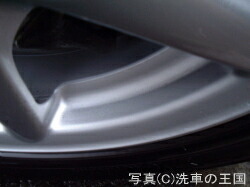 They are called brake dust (iron powder). Brake dust is the main cause to make your wheels dirty. This product removes the brake dust. If you tried other products but not satisfied, you may find this product very different. Dedicated wheel brake dust cleaner. Iron cleaner can remove the foil black mumble. Also removes stubborn brake dust on the power of a strong acid. Best product to remove brake dust (iron powder) from wheels. This product has been created to remove dirt from wheels. Black dots stuck on your wheels! They are called brake dust (iron powder). Brake dust is the main cause to make your wheels dirty. 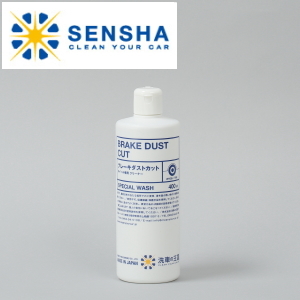 This product removes the brake dust. If you tried other products but not satisfied, you may find this product very different. The strong acid removes stubborn brake dust.The brake dust is caused by iron powders. The stubborn iron powders cannot be removed by detergents (surfactants). Iron powders cannot be dissolved by detergents.We have developed “BRAKE DUST CUT” to remove the brake dust. The strong acid removes stubborn brake dust. 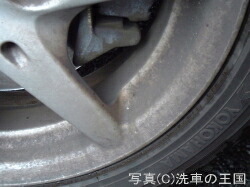 the wheel is covered by brake dust . For those who need help with brake dust caked on wheels! If the iron powder is fully stuck on wheels, it might not remove the dirt fully. 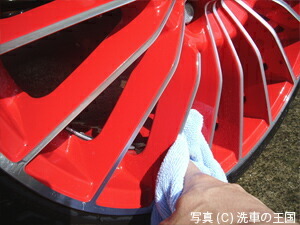 This product should only be used for clear coating applied wheels. It should not be used on special treated surface such as plating. It is a very powerful solvent. Please read the instruction manual carefully.